Polycom is a global leader in voice collaboration solutions for enterprises of all shapes and sizes. Whether you are after an advanced SIP conference phone for a large boardroom or highly functional personal IP desk phones for a small office, Polycom has a proven solution that will be just right for your needs. Communicate productively with high definition audio calls on Polycom SoundStation Conference Phones allowing all participants to hear each other clearly and concentrate on what is being discussed. Advanced audio technology allows each SoundStation to intelligently adapt to different room environments so everyone can hear and be heard. 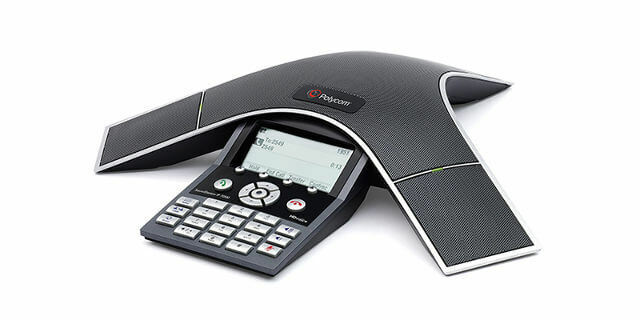 Polycom SoundPoint IP Phones can improve workflow across your organisation by delivering voice solutions that are reliable, highly inter-operable with leading IP PBXs and quick to deploy.